Populism is on the rise, that’s obvious. Dissatisfaction with the status quo and those that govern has many sources. Economics prosperity has been trickling up not down. De-industrialisation, austerity, labour market flexibility have created massive job insecurity. Outside of metropolitan areas people have stated they want immigration to stop. They don’t like changes brought about by the free movement of labour. Populism has been a while in the making. It is an easy fire to stoke and often the metropolitan, educated elite have fanned the flames. Last week a prominent Out campaigner—an Eton and Oxford educated son of a peer—could, without irony, talk about how the vote for Out was a vote against elites and the ‘Establishment’. 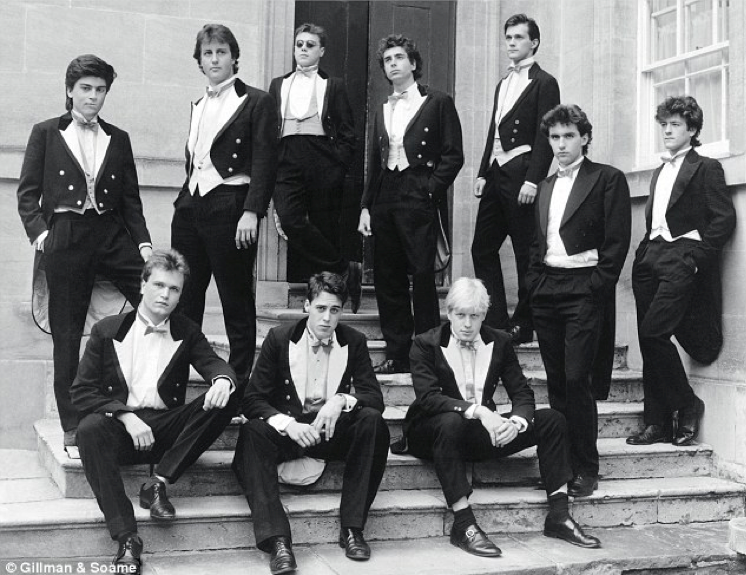 Power in the ruling Conservative party has moved from the man third on the left to the man fourth from the right. Update: Turns out Boris wasn’t keen on the job after all. “We should certainly have heard”. Inside the cosmopolitan bubble politicians and journalists did not hear the “howl of discontent with the status quo”. The result was a shock vote to Leave. Politician have contact with the public in constituency meetings, surgeries and other gatherings. They also spend lots of time kissing babies. But time spent in the media bubble or the ‘Westminster village’ mitigates against sustained contact. The closer they get to power the more cocooned and isolated they become. Their knowledge of their constituents’ worlds becomes ever more disembodied. The Brexit vote has confirmed what has long been suspected, or known but ignored. “Rich, mobile people living in our capitals don’t understand the lives of everyone else in society”. The Brexiters had heard. They tapped into the fears and frustrations of those outside of London (and Scotland). They didn’t offer solutions to the poorer, older and economically dis-enfranchised. But they indicated that they were listening with a powerful slogan ‘Take Back Control’. I’m not the first to question focus groups and polls in the development of political policy and communications. But I hope I won’t be the last. Political opinion polls are in a death spiral. Anyone with a methdologically informed bone in their body derides the use of focus groups in the world of marketing research. The Government Digital Service has championed ‘user needs’ above bureaucratic logic.